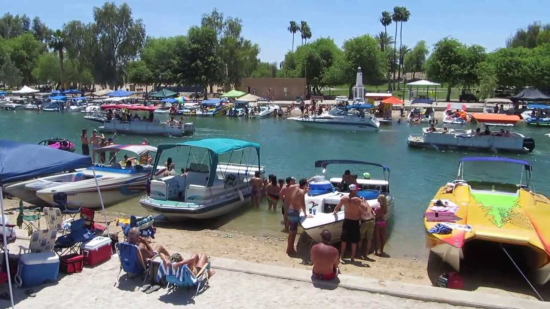 Every Summer Weekend in Lake Havasu City is a Party, especially for Boaters. But, the Three BIG Weekends, Memorial Day, the 4th of July and Labor Day, are really over the top. And, it’s a load of fun for those of us who choose dry land, too! If you like a ton of entertainment with your exercise, a round trip walk from Rotary Park to the English Village then across the Bridge to London Bridge Park and back is People Watching at its finest.